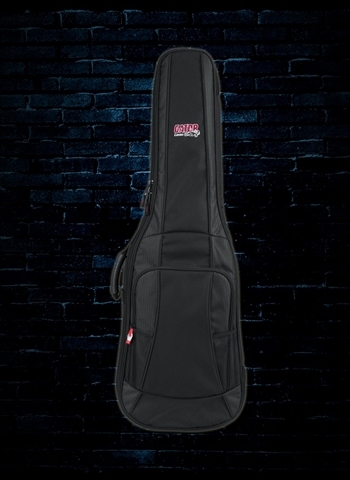 Gator Cases offers durable protection for your Jazzmaster guitar with the GB-4G-JMASTER gig bag. This gig bag is specially designed to fit a Jazzmaster guitar, with fitted GFLEX 20mm interior padding to protect against impact and scratches. The durable soft case is resistant to water, dust and other elements that may impact the quality of your Jazzmaster. Built for easy transportation, the GB-4G-JMASTER gig bag has two carry options: comfort-padded backpack straps and a reinforced carry handle. When it comes to protecting your Jazzmaster guitar, choose the quality and durability of the GB-4G-JMASTER gig bag from Gator Cases.